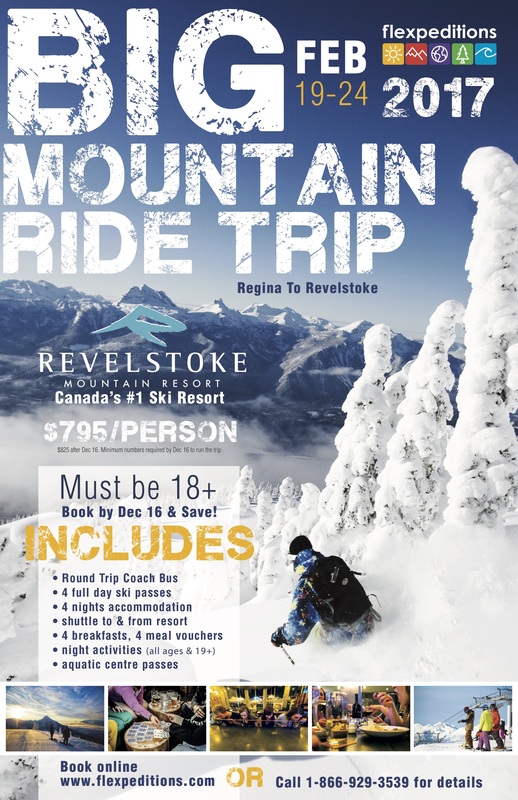 On February 19-24th 2017 colleges and universities from Regina, Saskatchewan, get the incredible opportunity to ski or snowboard on Canada's #1 resort - Revelstoke Mountain Resort (RMR)! The resort is well-known for being the most vertical in the whole of North America at 1,713 metres (5,620 ft). It boasts 3,121 acres of fall line skiing, 4 high alpine bowls, and 69 named runs and areas, including legendary glades and phenomenal groomers. After making your payment please then complete the registration form. This must be fully completed to guarantee your place. All bookings must be made by January 12th 2017. You also have the option to pay a $200 deposit to secure your place and to pay the remainder of the balance prior to the 3rd of February. Please use the Book Now button below to do that. Accommodation will be in downtown Revelstoke. There is a free shuttle from your hotel to the ski resort. To select your accommodation please click the Book Now button above. Do not book via the hotel provider. For this trip you have a choice of three different locations, all within very close proximity of each other and differing configurations of room options. If you would like your own private room a supplement of $50 extra/room/night will be applied. You are also welcome to specify the name(s) of who you would like to share a room with, such as your girlfriend/boyfriend or your friend, and we will do our best to accommodate this. Meet at midday at Cineplex Odeon car park (Southland Mall, 3025 Gordon Rd, Regina, SK S4S 6H7) in Regina for coaches. Check in with our coach bus host, load your gear and get ready for a long, comfy ride to Revy! 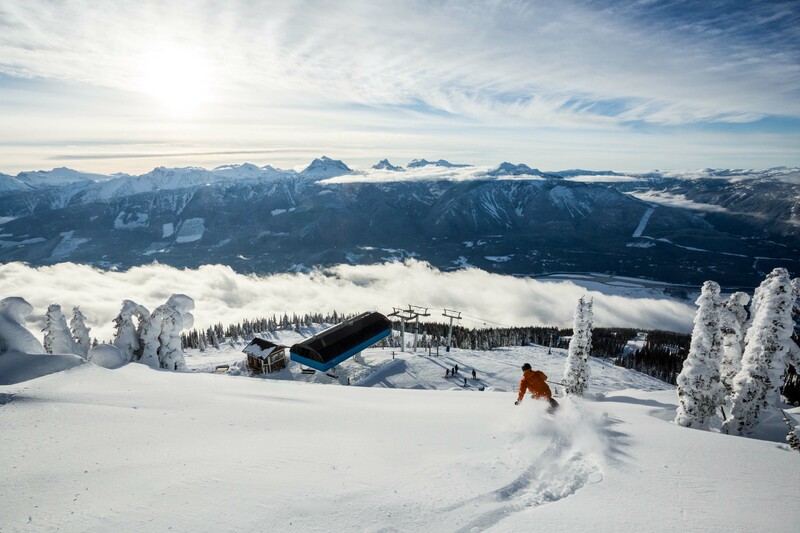 AM: Meet the mountain logistics hosts in the morning and ride all day at Revelstoke Mountain Resort! 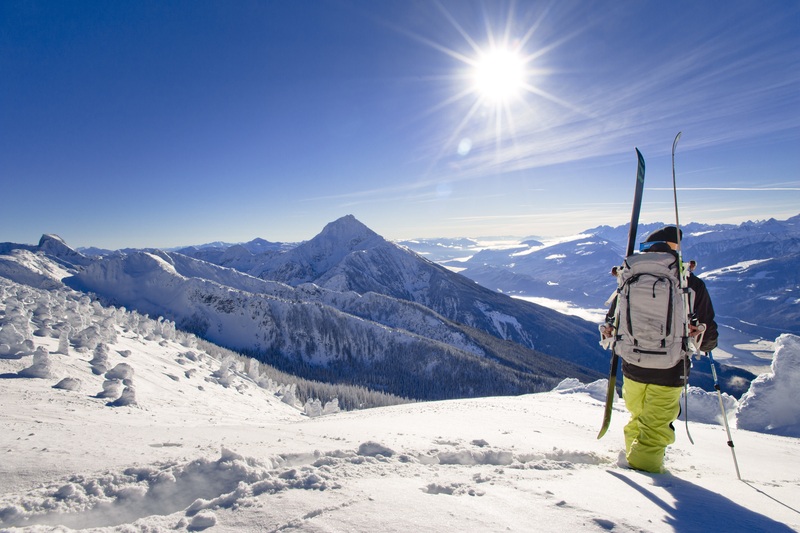 PM: Activities include: explore Revelstoke downtown, have wings at the Rockford restaurant at the hill, watch a snowboard/ski movie contest at the Village Idiot restaurant and/or check out the Valley Social Industry Night at the Last Drop bar. AM: Take the shuttle to the hill and ride all day. PM: Visit the aquatic centre and soak in the hot tub, then go to the Taco Club for Taco Tuesday, and end the evening at Twoonie Tuesdays at the Traverse Club. PM: Wing night around town at both the Big Eddy Pub (free shuttle) and the Grizzly Bar. Bowling at The Cabin and Open Jam night at the Last Drop bar. AM: Check-out accommodation, load up gear into the coach and put your carry-on bag on your seat. Bring a change of clothes for after riding and the items you'll need for the ride home. Ride all day. PM: There will be time to get changed and grab last minute souvenirs and photos. Meet at 3pm in the Mountain Resort parking lot for departure back to Regina. Arrive back in the EARLY morning (dependent on road conditions). Please note that the organised afternoon and evening activities are optional and that you are very welcome to explore Revelstoke by yourself. 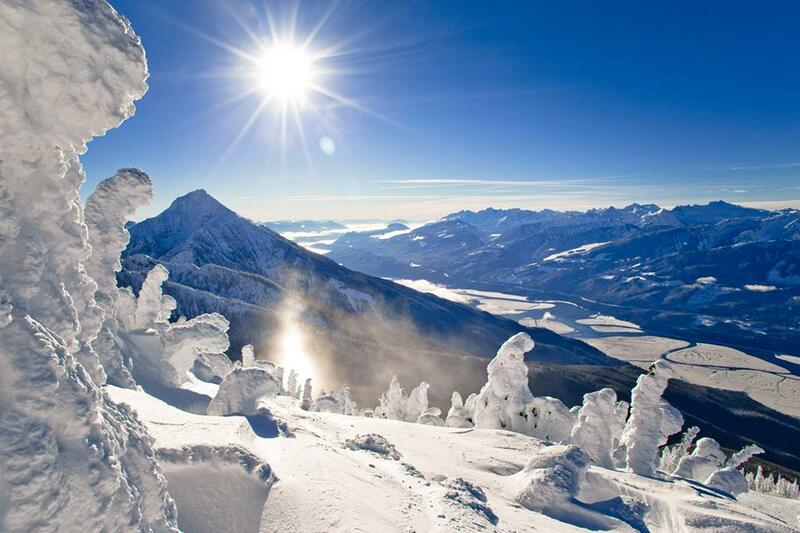 Revelstoke is a city in British Columbia and is home to approximately 7,000 people. The population almost doubles during the winter season. Revelstoke is surrounded by the Columbia mountain ranges, including the Purcells, Selkirks, Cariboos, Monashees mountains. The city holds the Canadian record for the snowiest single winter with 80 feet of snow falling. 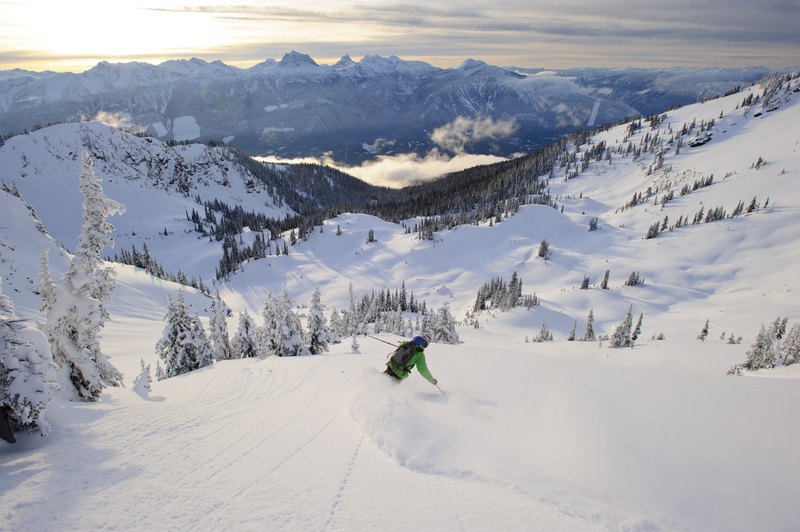 Revelstoke's ski resort at Mt. MacKenzie is the most vertical ski resort in North America. It also holds the claim to fame as being the only resort, world-wide, that offers lift, cat, heli, and backcountry skiing from one village base. In the city there are several delicious restaurants, cafes, liquor stores, and a large grocery store all within easy walking distance. You will be given meal vouchers to tasty and hip spots around town. There are a few lunch options to buy the lunch at the hill or brown bag it from one of our grocery stores. Under the Bus: 1 Board/Ski bag, 1 Medium sized duffle bag, and 1 small cooler (if needed). Must be 18+. Only 52 spots available. All bookings must be made by January 12th 2017. Full payment required and registration form completed to book and reserve your spot. If you are unable to come after that date it is your responsibility to find someone to take your spot. An e-mail will be sent to you confirming registration, accommodation and payment.